Opening Times: Mon - Fri 8:30am to 5pm. 40 Years of Weighing Solutions! If you haven't already heard, 2019 marks AWM Limited's 40th Birthday! 40 memorable years of innovation and weighing solutions. Our goal has always been to strive for excellence in quality and service, continually improving and modernising our products and processes so we can be the best we can be in all areas of business. As you can imagine, we have changed a lot since 1979, so lets take a look back over the past 40 years and see where we came from! 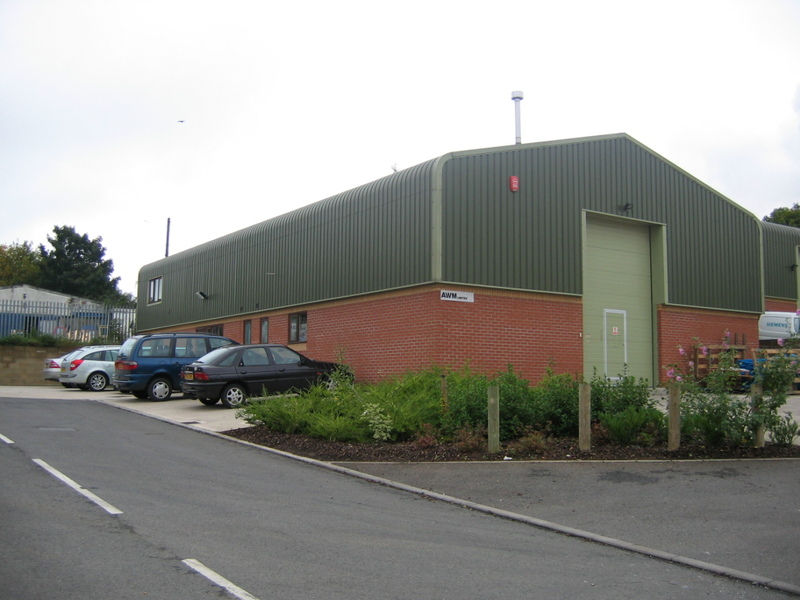 The company was formed in 1979 by Brian and Sally Spink, moving from the kitchen table to their first premises on Hardwick Industrial Estate, Bury St Edmunds. Building up a customer base of local and nationwide customers, the company serviced and supplied all types of industrial and retail weighing equipment from many different suppliers. After a number of years supplying other manufacturer's products, AWM saw the potential for manufacturing their own industrial weighing range that would offer high quality and cost effective scales to its growing customer base. In 1989, AWM launched the Valueweigh range of industrial platform scales, creating a trusted and highly regarded brand of professional weighing solutions. The Valueweigh range has expanded over the years (it is now commonly referred to as the VW range) and remains as popular as ever, offering premium quality, UK manufactured weighing solutions designed and built to the highest quality standards. In 1992, AWM acquired Multiple Cash Registers and Mark Worrow, our current longest standing employee, joined the company. In the same year, Nikki Meekings joined as an apprentice and both Mark and Nikki are still with the company today (as Operations and Office Manager) and are highly regarded and valued by all at AWM and by our partners in the weighing industry. This picture was taken in 2001 at our dealer meeting held at the Angel Hotel, Bury St Edmunds. Do any of you remember them looking as young as this? Mark still had no hair! In 1994 AWM achieved BS5750 registration (equivalent to present day ISO9001:2015) and we have maintained registration every year, adapting our quality management system to comply to new legislation and leading the way in quality and business integrity. Keeping up with industry changes, AWM was also one of the first independent weighing companies to become accredited to the Non Automatic Weighing Instrument (NAWI) directive, allowing us to self verify weighing scales for legal for trade use. In 1994, AWM made the commitment to refocus it's strategic operations moving from an end-user, service based company to a trade supplier. With such an excellent reputation within the weighing industry we quickly formed trade partnerships throughout the UK and became exclusive dealers for a range of products that we marketed and supported alongside out Valueweigh range of industrial weighing scales. Supplying and supporting our partners in the scale trade became the focus of AWM and continues to the present day. We deeply value our the relationships with our trade partners and would like to thank them for working with us over so many years. Look out for some great throwback photos on our social media channels in the next few months, we wonder if you will still recognise yourselves! We have formed fond friendships over the last 20 odd years and look forward to the next 20! Click here read about our commitment to our trade partners on our Blog page! 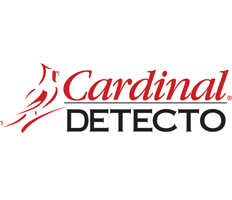 In 1998 AWM became exclusive dealers for Cardinal Detecto in the UK and we continue this long standing and excellent relationship to this day. The Cardinal name was already getting known in Europe and Cardinal saw a great opportunity to partner with AWM to grow their brand with a well respected and established partner. Cardinal moved their European Warehouse to AWM in 2002 which we operated until 2014. AWM have hosted numerous UK and International Dealer Meetings here in the historic market town of Bury St Edmunds as well as in Latvia, Budapest, Poland, Greece and the USA. 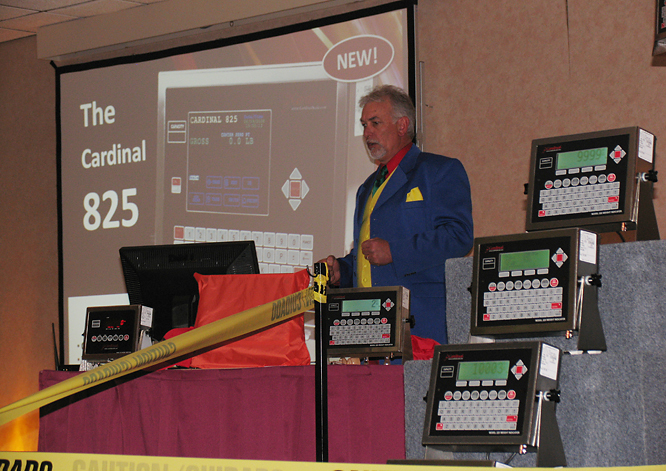 AWM specialise in programming the Cardinal weight indicators, firstly the 7XX series and now the Cardinal 825 Spectrum. The 7XX was launched around 1998 which is when we employed our own in-house software programmers led by Alex Jeligulasvili, our Head of Software, who has been with the company for 21 years. Our staff and customers have visited Riga many times for dealer meetings including our 25th anniversary celebration party there in 2004. Who knows maybe we will return for our 40th anniversary!? In 2003 AWM moved their Headquarters from Hardwick Industrial Estate to Mercers Road which is still our current location today. This purpose built factory was designed to provide both office and workshop space and we have improved the amenities in recent years to include sales offices, meeting rooms, a marketing studio, increased storage and staff rest facilities. This picture was taken not long after completion. Over the last few years AWM has focussed heavily on our marketing and customer satisfaction and gained a strong following on social media and Youtube. We have invested in fine tuning our Valueweigh range and developing new products to meet existing customer needs and to move us into exciting new markets. Looking forward into our 40th year we are very excited - we have a great team focusing on product development and can't wait to launch our new ranges. The Baykon products introduced last year, alongside our focus on process control solutions, has been really well received and 2019 sees the expansions of this range with entry into other lateral markets. We lead the way in meeting legal and quality requirements for our products and are seeing year on year growth in sales and profitability. As we continue to grow our trade network in the UK and worldwide we continue to provide the best before and after sales and technical support possible, standing by a company ethos that has seen us through such a successful last 40 years! We look forward to another 40 years and would like to thank all our previous, existing and new customers, suppliers and employees for helping in the success of AWM. Look out for our regular blog updates looking at 40 years of AWM, who knows, you might well feature! Subscribe to our mailing list for product updates and offers!